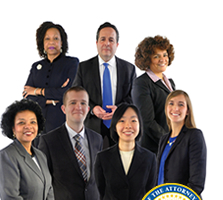 The Attorney General has developed a Volunteer Associates Program (VAP) for lawyers who are interested in public service in New Jersey. Many recent graduates and admitted attorneys with differing levels of experience have participated in the program since its inception in September of 2009. The VAP affords participants the opportunity to learn how state government works and offers exposure to new areas of the law. We are looking for volunteer attorneys of the highest ability, possessing sound judgment and a commitment to public service and the State of New Jersey. If you meet this description, consider volunteering with the New Jersey Department of Law and Public Safety.